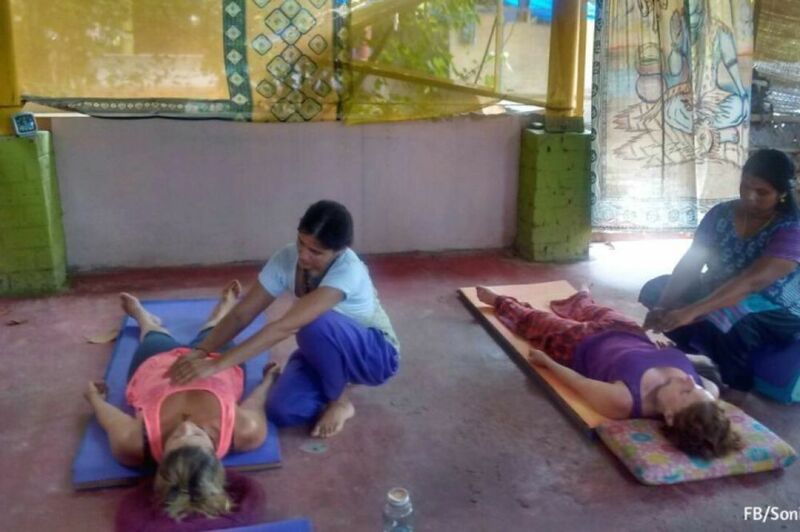 Experienced yogis can explore and enhance their practice, while new students can deepen their understanding of yoga, coaching for women in a supportive and nurturing environment. 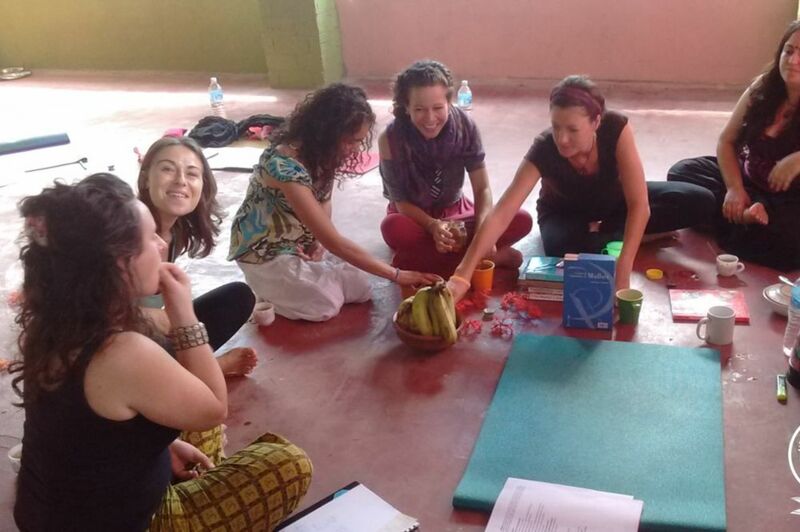 When groups of like-minded women get together, magic is created. 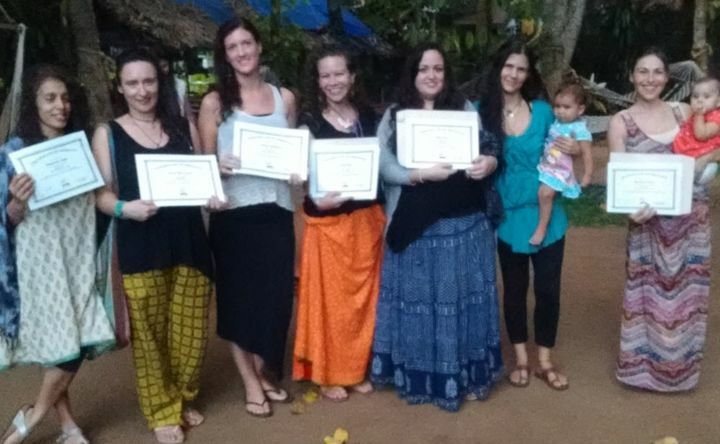 Sacred Feminine retreats awaken awareness of the feminine form with beautiful flowing, simple yet sensual dance, and a deeper understanding, honoring and integration of energy and companionship. 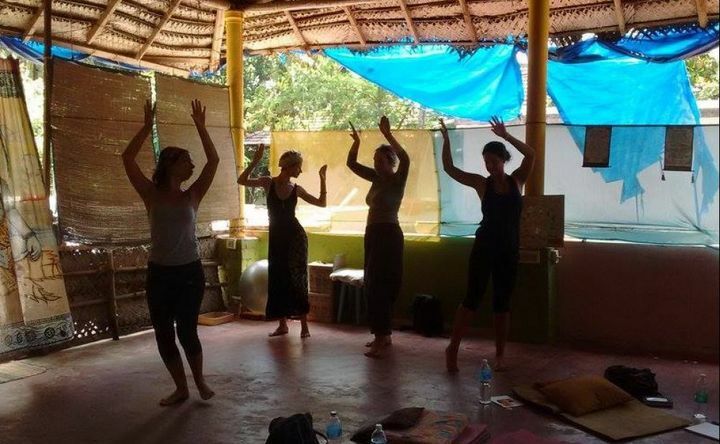 This retreat is a container of practice in space full of beauty and sisterhood, connection with Nature and silence, dance and Goddess rituals, devotional chanting and much, much more. 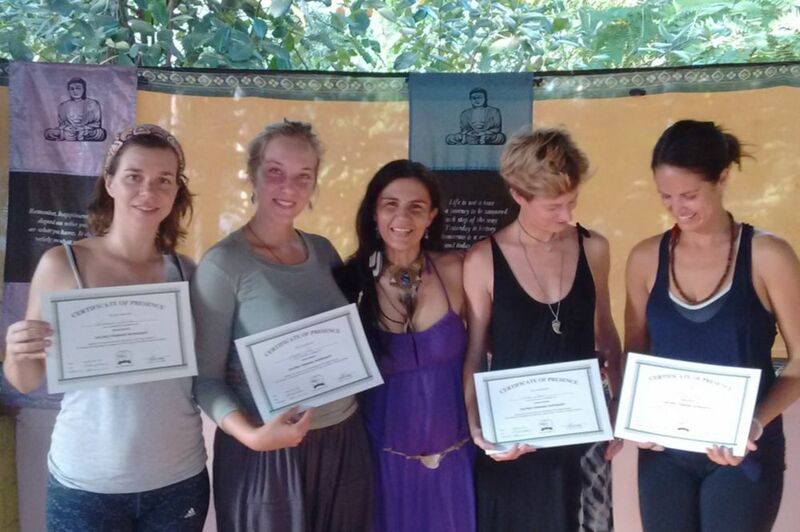 Together we explore our highest potential as Sacred women, we discover a unique gift for each woman and we hold her as she moves into embodying her Nature. 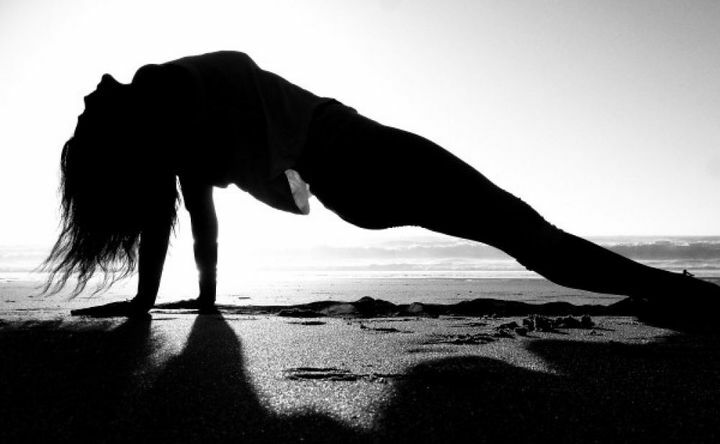 We move beyond our limitations by exploring the strength of our femininity. We practice unveiling the wisdom and beauty already inherent in each woman. 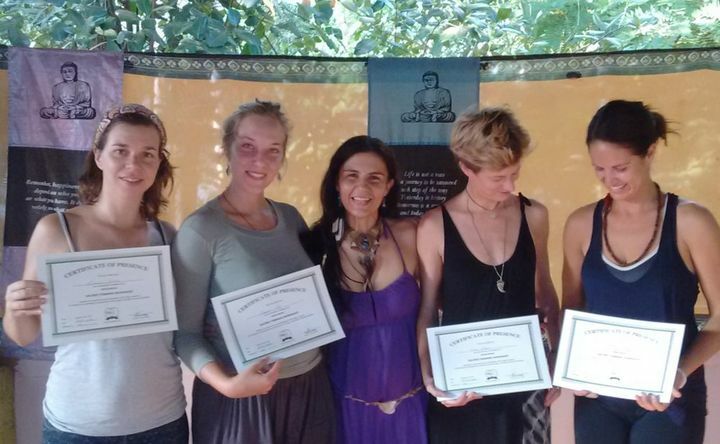 You will leave this retreat transformed, deeply connected to your beauty, a lot more self-confident and empowered with an abundance of tools and insight into how to be in touch with your inner Goddess and at the same time be successful and active in the modern world. This Retreat Can Be The Beginning Of Your Life Change! 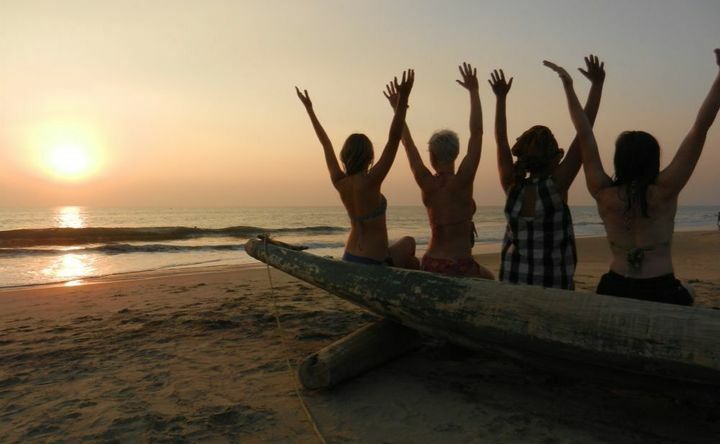 Imagine yourself surrounded by a luxuriant tropical nature, in a boat trip on the backwaters and going daily to the beach, receiving an ayurvedic massage, eating Indian delicious meals. 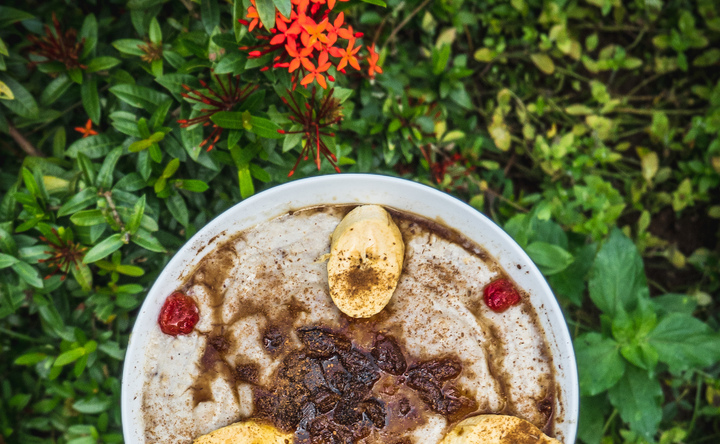 As you make your way to the yoga shala you stroll through the tranquil gardens, you enjoy a rejuvenating meditation and yoga practice, before indulging in a fresh, nutritious and delicious Kerala breakfast. 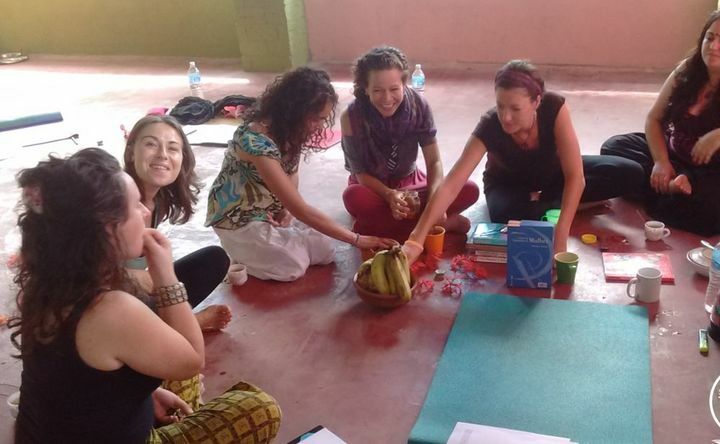 Participate in our Sacred Feminine classes and practices. 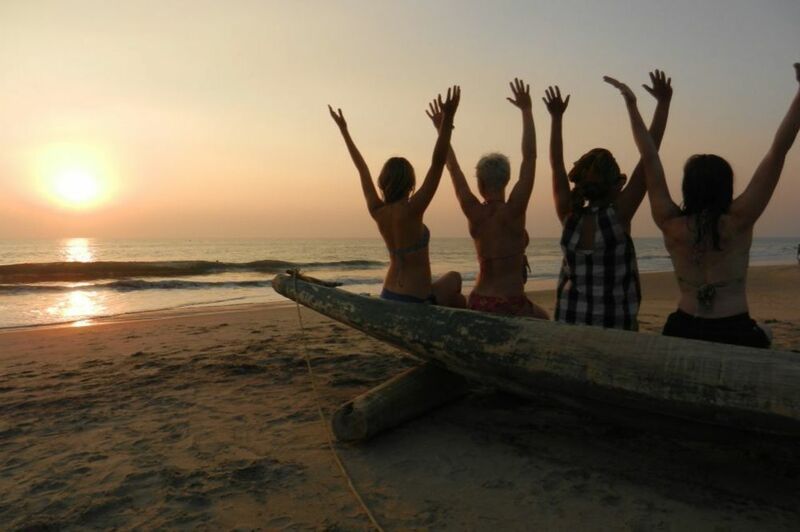 Take then some time to relax and unwind by the beach, enjoy a luscious Ayurvedic massage, stroll into Varkala for some sight-seeing. 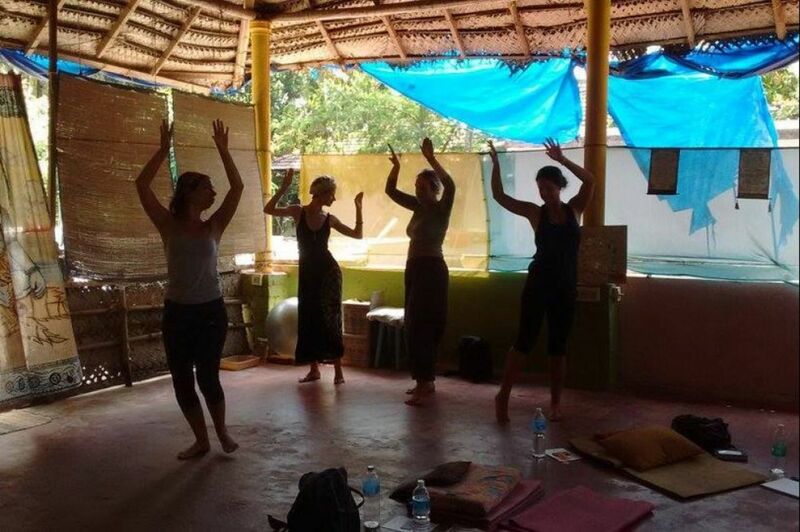 For a truly holistic experience led by the most knowledgeable teachers from the Shiva Garden Homestay and retreat site, join us to re-energize, unwind and re-connect with your true self while soaking up the blissful surrounds of beautiful Varkala. 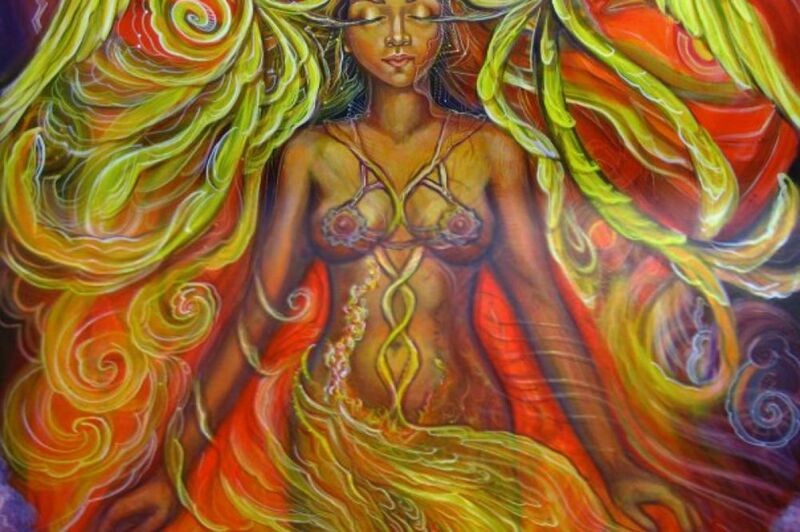 “Sacred Feminine is about connecting with your womb, your inner wisdom and empowering yourself as a Woman. It’s about respecting your Sacred Blood and using it in your ceremonies. It’s about staying silent and listening to the creativity latent in your 2nd chakra. It’s connecting with the Natural energies of the Moon, the Sun, the Earth, the elements and inviting them into your life. 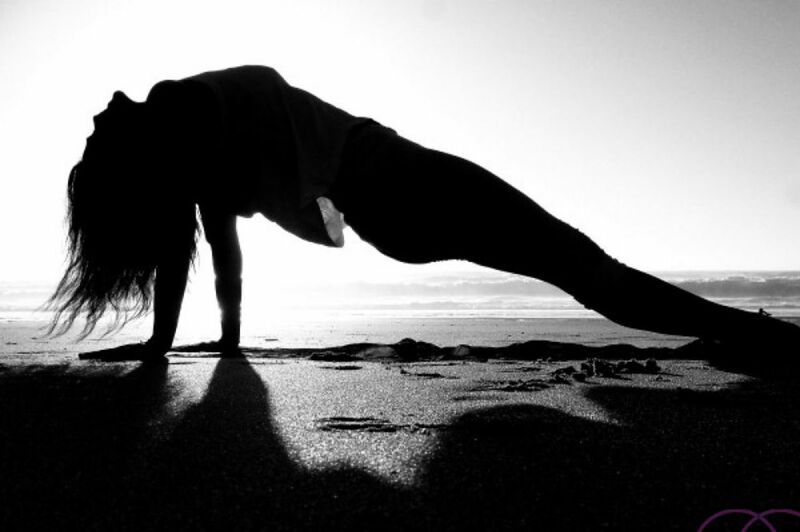 It’s about dancing in the sacredness of our bodies, closing our eyes and letting our soul flow with the music. 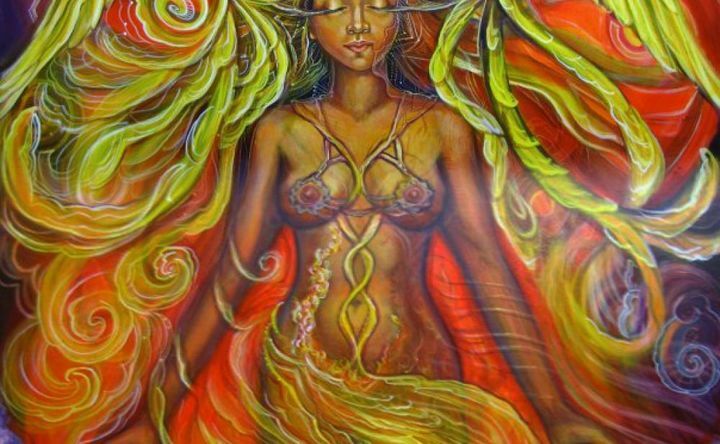 Sacred Feminine is about remembering that you are a Female and so, able to give birth naturally, in a homely environment and free of drugs. It’s learning about the grieving process of an abortion, and being abused in so many ways. It’s about respecting yourself as a Human Being and making yourself feel respected as a Woman. 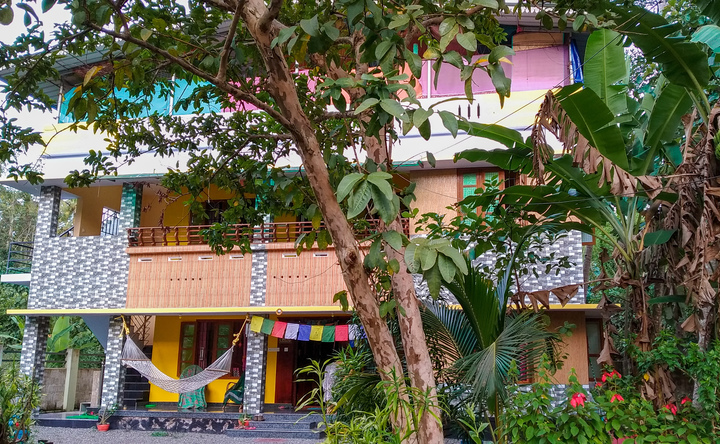 A lovely peaceful quiet place surrounded by tropical trees and vegetation for you to heal, re connect and empower yourself only 20 minutes walking away from the beach, shops and restaurants. 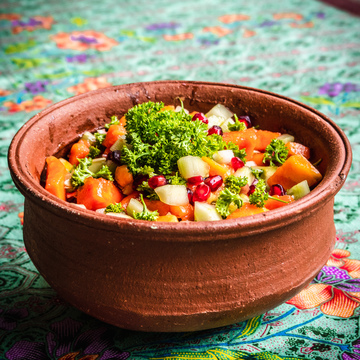 Begin your journey by attending to the 3 days Sacred Feminine Workshop where you will have the opportunity to learn and practice Belly Dance, Oriental and free dance, receive shamanic teachings for woman’s, learn rituals, and much, much more! After 3 intensive days, indulge yourself in receiving 1 Indian Ayurvedic massage of 2h with oil and healing herbs powder massage. You will leave floating like a feather. 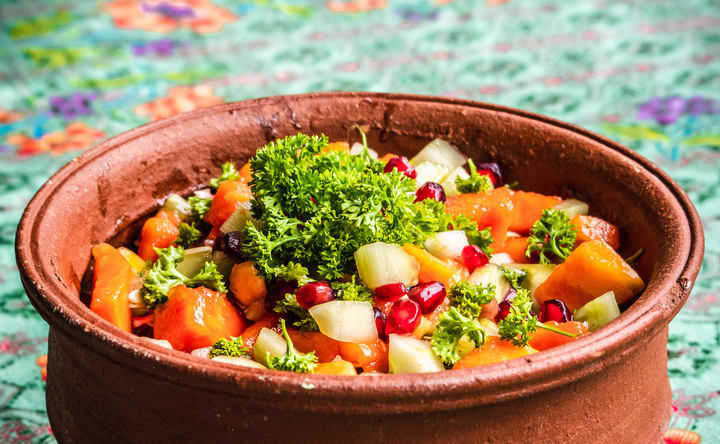 Then have a delicious vegetarian meal with sea view in one of the best restaurants on the cliff and on the afternoon, we will go to the backwaters, Golden Island Shiva & Parvati Temple, we will then go to Durga Temple and watch the sunset on a desert beach. 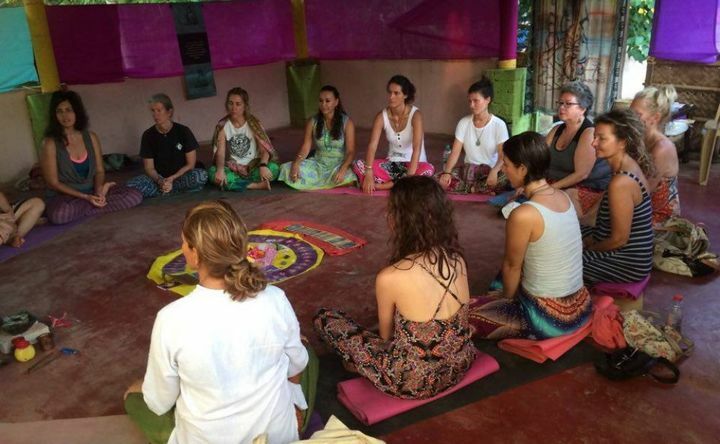 This is the day to perform live the Full Moon Rituals, where we will go through several practices in nature, as well as on the retreat site. Learn How to perform a relaxing massage with your friends and your partner. This day is an approach to massage where you can learn the basic movements for massaging your partners and/or friends. 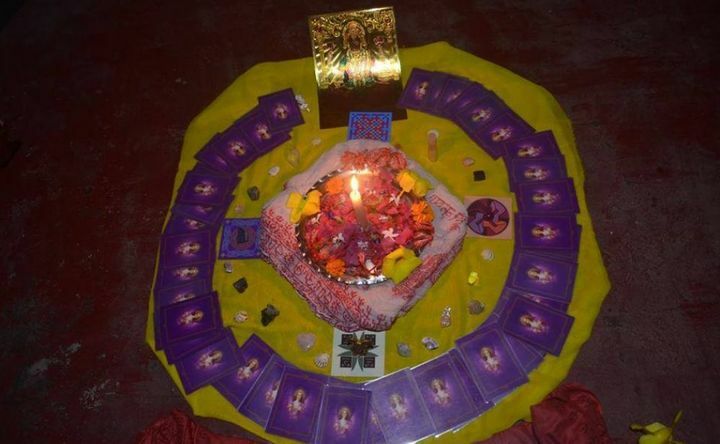 In the last day, we will go through a unique experience of astrology for groups. 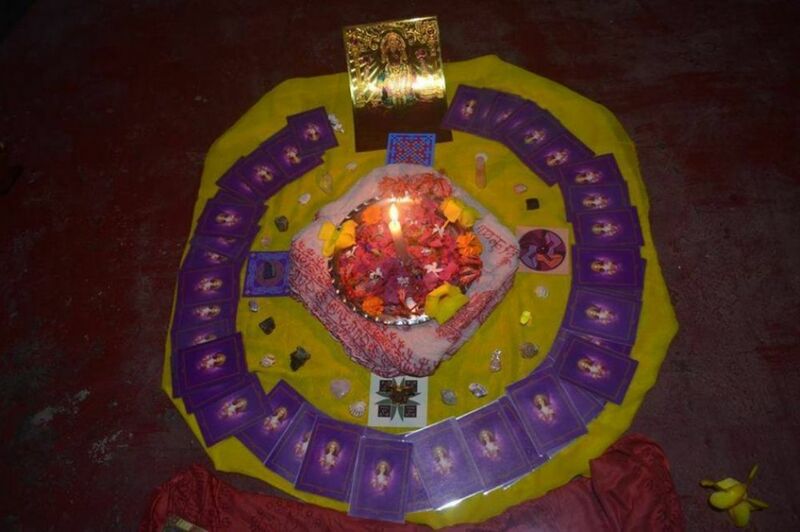 You will get to know the main traits of your Numerology as well as your Mayan, Karmic, Chinese and Western Astrology. We will then understand better why individuals in the group get an affinity with each other. 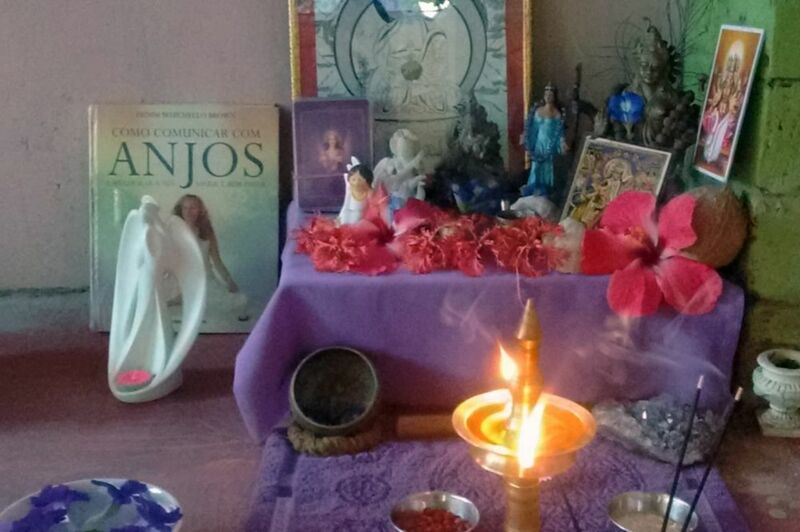 Besides this, you will get to know your soul purpose and Life Path, karmic lessons and personality traits to improve. (Does not include personal extensive readings). 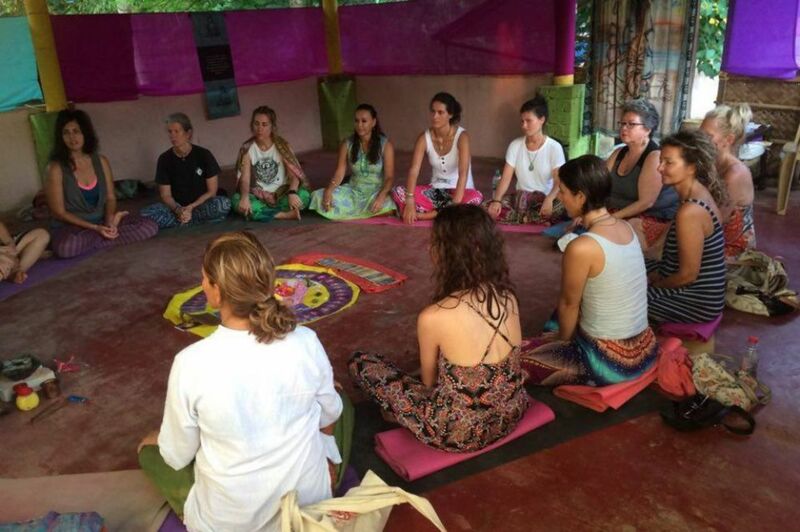 Note: The schedule of the order of the activities can change depending on the Full Moon day in each retreat. Note:This is a 7-day retreat. Your stay is for 8 nights and 9 days in total. We will start with the retreat the day after you arrive, so on the 2nd day. So you will be able to take your time to land and adjust to the surroundings and our place. Check out is the day after the last day, on day 9, of the retreat at 11 am. 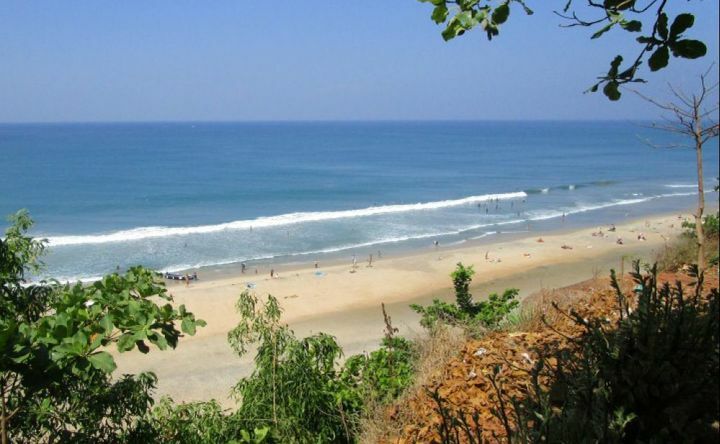 South India, Kerala (God’s Own Country), Varkala beach, one of the Top 10 beaches in India, rated the 3rd place by tourists, and one of the First 30 Tour Destinations in the Planet, rated 28th place among the 100 top ‘Best Value Index’ around the globe. 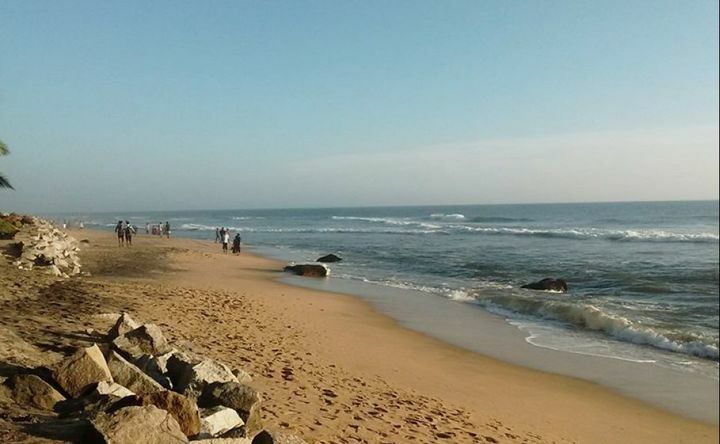 The main beach is Papanasam beach. The word Papanasam means washing away sins. 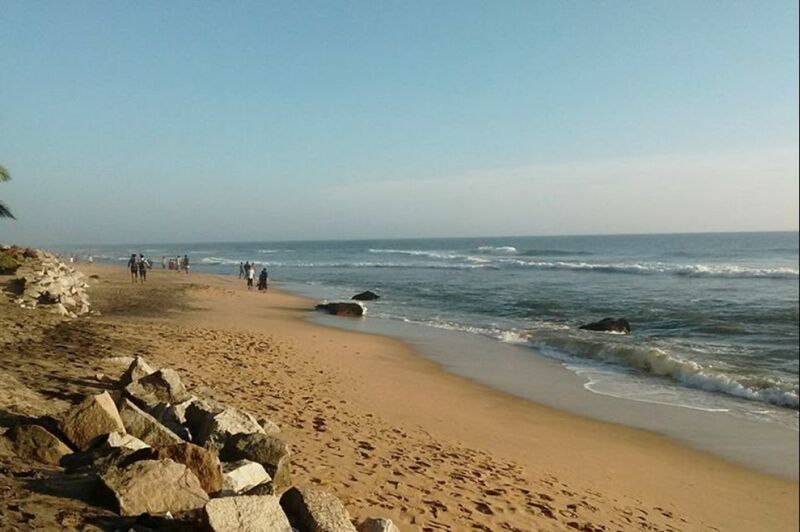 The legend says, that taking a dip in the waters of Papanasam Beach will wash away all the sins in one’s life. 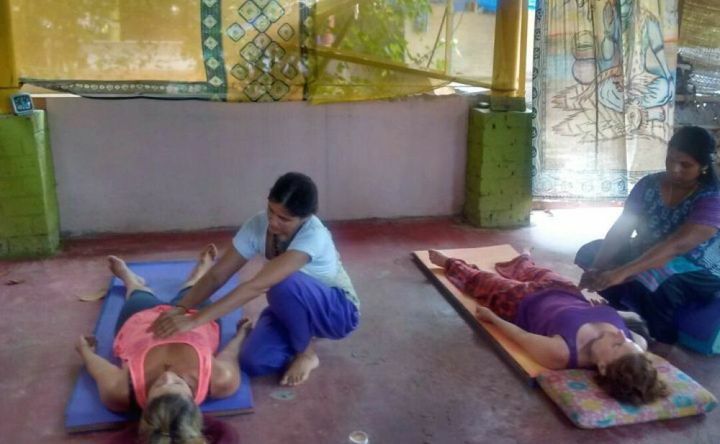 Shakti Ashram, Healing Center and Academy is surrounded by tropical trees. Facilities Include: - fast Wi-Fi service, shared kitchen and mineral water. 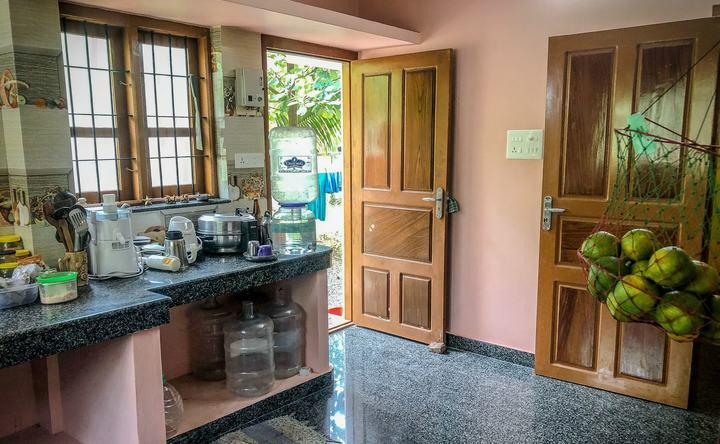 Excellent location in a quiet residential area with the beach and supermarket just 10 minutes walking distance. 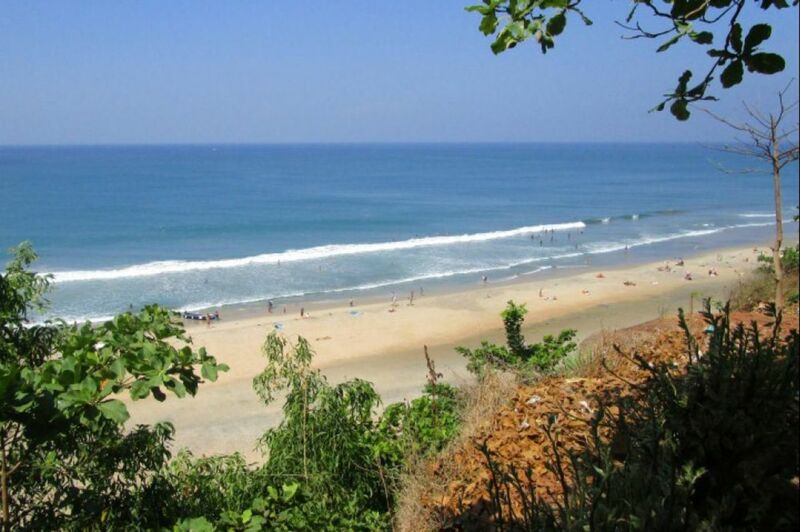 5:00 PM Personal / free time for going to the beach, explore the Cliff restaurants and much more! This room has been lovingly crafted to provide our guests with a comfortable and homely experience. Our room have one large comfortable bed and private bathroom. 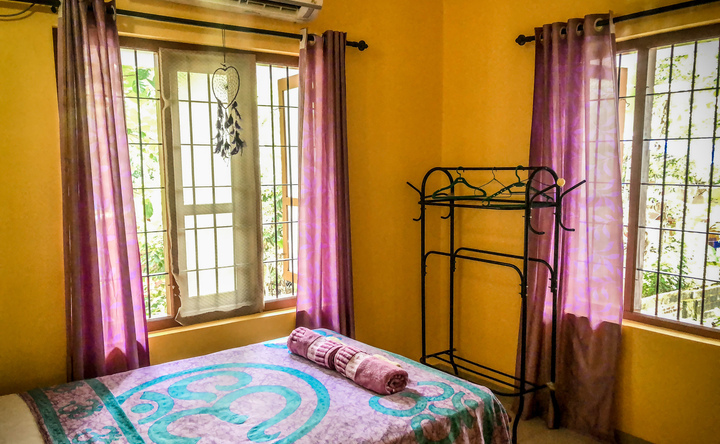 The room is ideal for single travelers, couples or couples with children. The rooms is well ventilated with two large windows. This is a room with a private bathroom. This is a common room with a shared bathroom and a dinning room. Direction: Makairam, (House number VMC 29/84 D, 29/84E, Sy. No.41/1, in Varkala SRO), Vacharmukku, Varkala P.O. 695141, Trivandrum, Kerala, India. We are 10 minutes from Krishna Supermarket, in NorthCliff (5, 10 min walking) near Kurakkani Junction. On the opposite side of the road from Krishna Supermarket, looking to the left, there is a blue bus stop and a road going up between walled properties. Walk 5 to 10 minutes up this road. 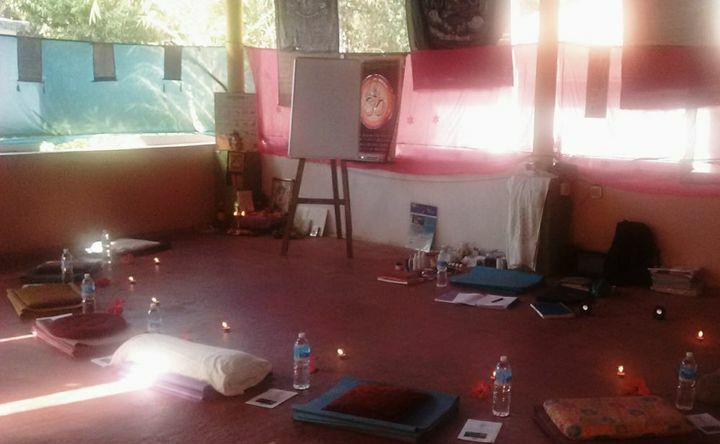 After a few corners, you will see purple Shakti Ashram paintings guiding you to the Ashram. We are just after the house on the left side with 2 white rabbits, around the corner along the left earth path. It is the first stunning house on the right side. 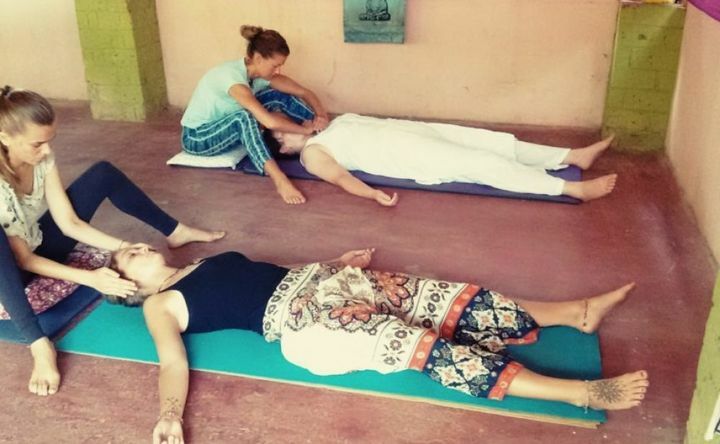 Shakti Ashram, Healing Center and Academy was launched by Sonia Indigo in January 2018 as an integrative result of many years of healing and counselling practice. 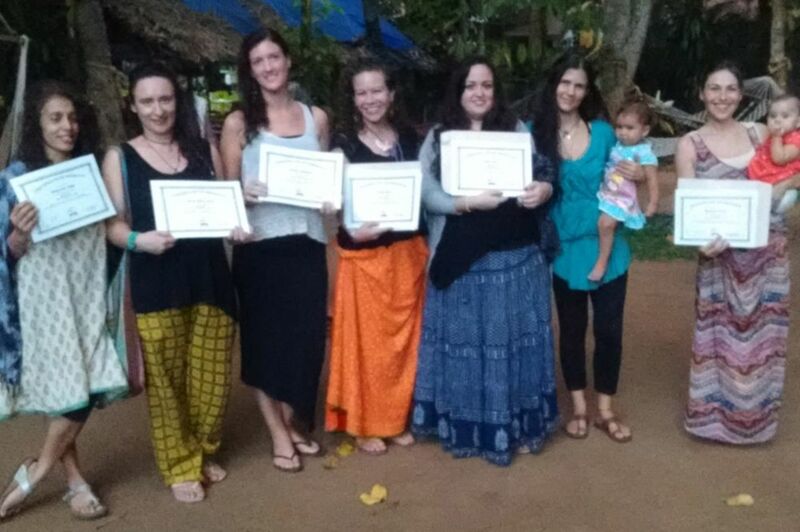 It continued the mission of International Sonia Indigo Academy project, which started in 2012 in Varkala Beach, India and offered Retreats, Courses, Workshops, Therapies as well as Classes in the areas of Reiki, Yoga, Meditation, Life Coaching, Astrology & Numerology, Counselling.The Academy is an abode of peace and shelter from the pressures of mundane life. It provides a safe environment for personal development and the pursuit of a spiritual path. Our world-wide students often visit India looking for a deep connection to themselves, in moments of life change, and to experience the profound spirituality of Ancient India and ancestral Yoga, Ayurveda, healing, astrology and shamanic traditions.Here we offer a safe space, time, teachings, therapies and tools for the students/clients to recover from their daily life’s, look inwards and make a real inner change.We also provide for our students, clients and guests a spiritual /alternative/esoteric library to make their own study as well as the guidance what could be a good book for them to read according to their needs.OUR MISSIONTrain Skilled Professionals in the areas of Reiki, Yoga and Massage with the courses Massage Course, Reiki Workshops levels I, II, III & Master level, the Workshop For Healers.Provide tools to help students find their own truth, transform themselves and start their Life Change process, offering the Life Changing Seminar and Sacred Feminine Workshops.Help people heal, know, accept, love, nurture and improve themselves at all levels (physical, emotional, mental & spiritual), inspiring them to believe and achieve their dreams. 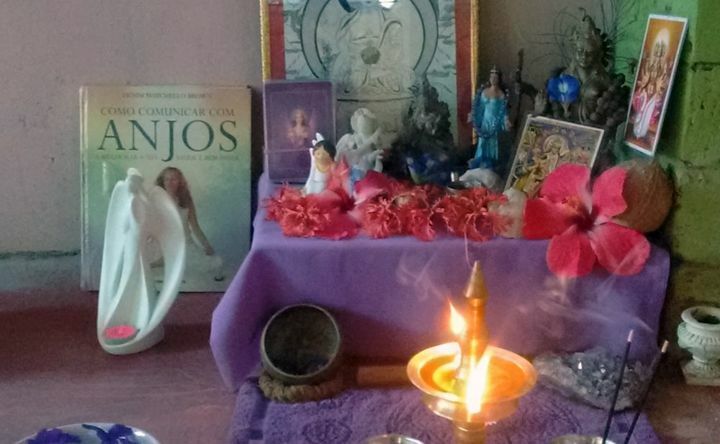 The Therapies available are Life Coaching Sessions, that include the following sessions: Psychotherapy & Counselling, Astrology & Numerology, Life Change & Self Transforming Process and Sacred Feminine. In the Academy you can also find therapies such as Reiki Distant Healing Sessions, Aqua-Floating Therapy and Yoga Classes and Retreats.Inspire and train yoga beginners and advanced practitioners to do their practice by themselves and deepen their knowledge in Meditation, Yoga, Chakras, Doshas, Diet, Pranayama, Asana Benefits, during the Yoga & Meditation Classes.In our Healing Center you can undergo one of the proposed treatment programs, book the therapies and yoga classes separately, take part in workshops, as well as receive a consultation and individual healing plan appropriate to you.We also offer Reiki courses for I, II, III and Master levels, including theory, practice, initiation and certification.We speak: English, Spanish, Portuguese, French. 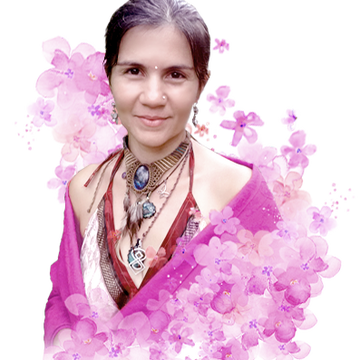 Sonia is healing, facilitating, consulting, coaching and teaching since 2009 and shares her experience into her work and teachings gathered over 25 years of studies and practices in astrology (Mayan, Chinese, Karmic and Western), numerology, Feng Shui, massage (Swedish, Ayurveda, Thai and Reflexology), archangels, hatha yoga, meditation, reiki healing, shamanism, native women practices, womb awakening, women health and well-being, pregnancy, natural birth and parenting, tantra, Hindu, Tao and Buddhist philosophies, the law of attraction, A Course In Miracles, psychology, physiology, affirmations and key questions, aqua-floating therapy, childhood and past life regression, health, nutrition, the mind-body connection, leadership, relationships and co-dependency.Sonia combines her common sense, down-to-earth approach with depth, wildness and raw power; which are the unique signatures of her work. She facilitates at a depth where remarkable transformations, healing, and openings in women’s (and some men’s), lives are a common occurrence. Be in harmony with life!